As we head towards the launch of Samsung’s new Galaxy M-series smartphones, the key specifications of Galaxy M10 smartphone have been revealed online. Additionally, couple of the phone’s renders from a user manual have paved their way online. 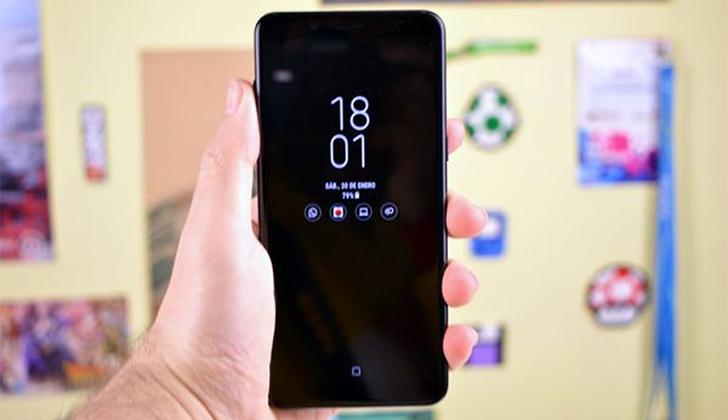 Samsung Galaxy M-series is being targeted to the millennials and is the South Korean manufacturer’s answer to the growing popularity of budget phones from Chinese smartphone makers. The Galaxy M-series will be announced on January 28. It will include three phones, inclusive of Galaxy M10, Galaxy M20, and Galaxy M30. However, online reports indicate that initially, only two of them may be released . According to a post on Slashleaks, Samsung Galaxy M10 will feature a 6.2-inch HD+ (720×1520 pixels) display. The phone will be powered by 14nm octa-core Exynos 7870 SoC. It is coupled with 2GB or 3GB of RAM. Towards the imaging front, Samsung intends to include a dual-camera setup at the back of Galaxy M10 with 13-megapixel primary sensor and 5-megapixel secondary sensor. The Samsung Galaxy M10 will run on Android 8.1 Oreo and include 3,400mAh battery. The phone will just be 7.7mm thick and weigh 160 grams. 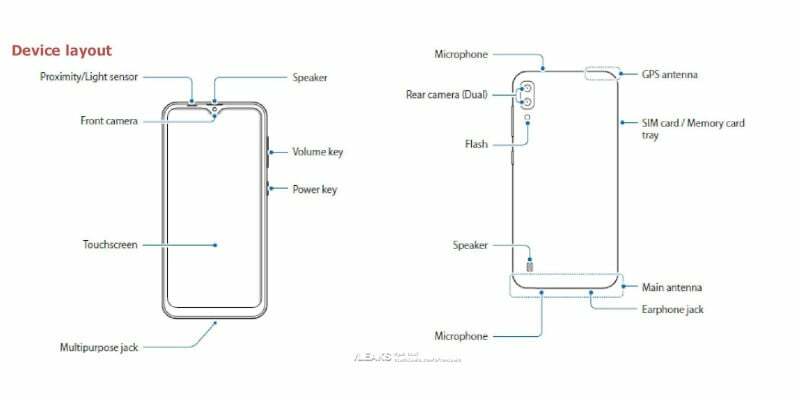 Furthermore , a set of sketches from a leaked user manual has revealed the design of the phone and the fact that it won’t include a fingerprint sensor. The sketches confirm that the company is using an Infinity-V screen with the volume rocker . Also, there is a power button on the right. The phone will also pack a Micro-USB port as well as a 3.5mm audio jack towards the bottom. The hybrid dual-SIM and microSD card slot will be placed on the left.